Did you know that the new town of Telford in Shropshire is celebrating its 50th birthday? To mark the occasion Travelodge is giving away 3,500 rooms at the bargain price of £29. We stayed, on my birthday weekend, at the new Travelodge at Telford’s Southwater and the hotel had very kindly left a balloon, chocolates and a card for me in our room. What a wonderful surprise! The hotel is situated close to the town centre. It is modern and clean and perfectly situated for the International Centre. There are four floors and lifts and stairs available as well as a 24 hour reception. The only parking onsite is for accessible vehicles and this must be prebooked but there is a drop off area a short walk from the entrance and you can get a discounted rate for using the Southwater car park of £1.30 (your parking ticket needs to be verified at reception). This isn’t the closest car park to the hotel and it can be confusing so watch out for signs. It is only about a five minute walk from the car park to the hotel. We had booked a family room for two adults and two children. There was a slight mix-up with rooms but this was quickly resolved. The room had a double bed and two singles in it with tv, table with kettle, mugs, tea/coffee and milk provided as well as an en-suite bathroom with bath and shower. There is shower gel and hand wash available from a dispenser and fresh clean towels are provided. The air conditioning kept the room at an ambient temperature and it wasn’t noisy. The beds were very comfy and we all slept well. 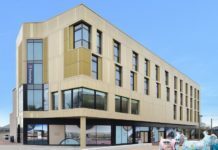 There isn’t an on-site restaurant but the hotel is close to a good choice of restaurants such as Miller and Carter Steak House, Nando’s, Pizza Express and Bella Italia as well as the Telford shopping Centre with M&S, Debenhams and many more stores. We went out for dinner and breakfast and were spoilt for choice of places to eat. There is also cinema, bowling and an ice rink just a few minutes walk away so plenty of entertainment on offer close at hand. Telford Park is also close by with lovely playareas for children, and even a great area for older children aged 8 plus as well as tree trekking and disc golf so lots to do in a beautiful setting. 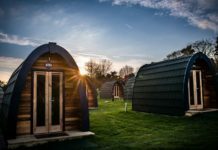 Telford is also close to Shropshire’s glorious countryside and only twenty minutes from the UNESCO heritage site of Ironbridge Gorge which is perfect for a day out with walks and trails on offer. 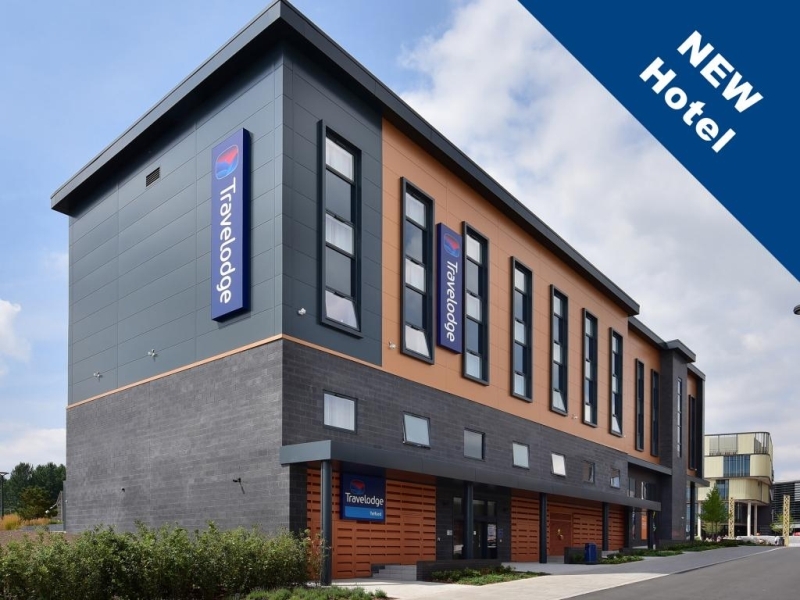 Telford’s Travelodge at Southwater is a lovely base for a family break to get away from it all. Located in the West Midlands and conveniently located close to motorways it is easy to get to so look out for those great deals on rooms and book yourself a special trip. For more information or to book a room visit www.travelodge.co.uk or call 08719 846535.